Since we had walked most of the Indian market, we decided to do lunch at the same place we'd had dinner - La Plazuela. 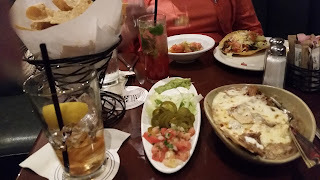 I had deconstructed nachos (otherwise known as make your own) and an iced tea. It felt good to sit down. There was far too much food, though.